Brand storytelling is all about achieving a brand vision. The best brand storyteller will try to connect with their audience. Achieving an audience connection when telling your story is not something that should be left to chance. The best tip I ever got about brand storytelling was to know what you are trying to achieve. Knowing what you want to achieve from your brand storytelling will provide the foundation for good storytelling. Think about the purpose of your story and what success will look like. When telling your story stick to your vision and continually ask yourself is the story you are telling contributing to you achieving that vision. The best storytellers know who their audience is and understand what matters to them and what their personal preferences are. This makes telling stories so much easier because the storyteller knows what their audience values are, understands their ambitions, circumstances, struggles and joys, and all the other elements that contribute to make them the complex individuals they are. The storyteller can then use a storytelling style that will match their audience’s expectations and in some cases exceed it. Too many brand stories are glorified brand PR exercises. In the age where we have all become publishers online, this is simply not good enough. A brand story needs to be customer centric and show how that brand solves real life customer problems. Make the customer the hero of your story. Life is a journey and so is a brand story. Your story should show where you came from, where you are now and most importantly where you are going. The more interesting the brand journey the more interesting and engaging the story. To appreciate a story your audience needs to first understand it. When telling your story you need to keep the structure easily understood, often a simple story telling structure can be the most effective. This is why many storytellers opt for the basic beginning, middle and end approach. Use language appropriate to your audience and avoid unnecessary use of technological jargon or words not commonly used. Don’t use unnecessary detail or anything that will confuse your audience. The only challenge you should be giving your audience is what to do next. I can’t stress enough the importance of humanizing your brand story. Nobody wants to engage with some Corporate PR spin. They want a story told by humans about humans for real people. Tell your brand story in a way your audience will easily connect to and engage with. Emotion is the key to engagement; make sure your audiences care about your story. Emotion in storytelling is what makes us sit up when hearing a story and think this is a story that means something to me. When you get your audiences attention then you can influence them to action. All brands are now in the publishing business and they need to make their stories stand out from the competition. One way of doing this is to tell entertaining stories that still make your point. If you ever watch a successful Ted Speaker you will notice they first engage you by entertaining you and then give you their takeaway point. As a brand you need to develop a storytelling style that is educational and entertaining. Humor can be a “doubled edge sword”, it can engage an audience or it can easily disengage an audience. Unfortunately there is a very thin line between acceptable humor and humor that can damage a brand. I always operate under the principal “if in doubt leave it out”. Test any humor that you intend to use on a critical audience. Always use small amounts of humor in your storytelling when delivering important points, as you do not want to trivialize your message. The brand vision for a story has at its core the desire to get your audience to take the next step in the marketing process. A well told story will inspire its audience to take the next step. Design a story around a call to action that requires the storyteller to make it obvious what the next step is and to make it easy and obvious for your audience to take this next step. 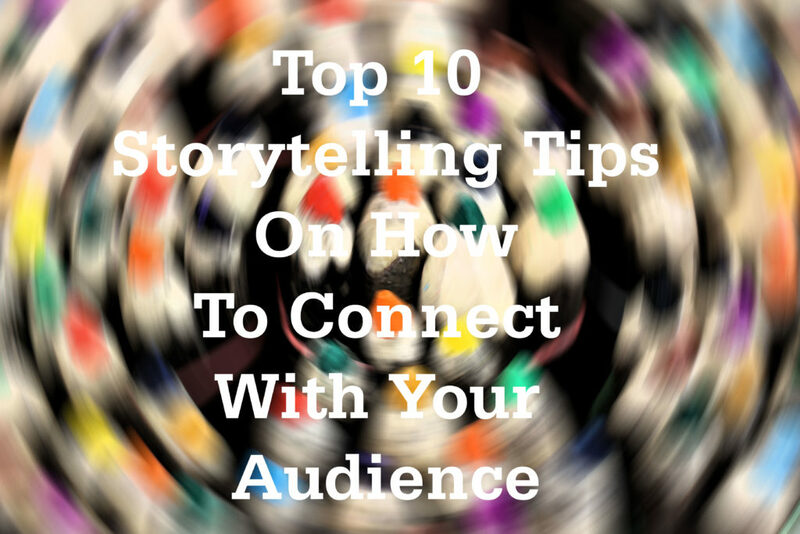 The key way to connect with your audience is to tell a good story. Make the story interesting enough for you to divert your audience’s attention away from the myriad of things trying to get their attention. Tell your story with your audience in mind and tell it in a manner that will appeal to them personally. Great stories bring their audience on an emotional roller-coaster that they do not want to get off. It helps them solve some struggle that is impeding on their daily success. Your story gives them hope and shows them there is a better way. You should package the story in a way that they can enjoy and instantly relate to. The best brand stories leave them wanting more. Posted in Story Telling and tagged audience, Audience Connection, Audience engagement, brand story, brand storytelling, brand vision on April 2, 2019 by admin.